Last Thursday 24 Oct., the government of South Korean President Park Geun-hye declared the Korean Teachers’ & Education Workers’ Union (KTU) illegal. Korean President Park seeks to force educators toward the ruling 새누리당 Saenuri Party (Saenuri-dang) position on major issues. The Korean government is forcibly taking away a constitutionally guaranteed right to organize. The government had demanded the union expel any members who are not full-time teachers. That may sound reasonable, but the small number of 'disputed' members are either retired teachers or those laid-off due to government cutbacks, between 9 and 22 people (link). Why can't labor associate freely? Now the 60,000 member teacher's union is illegal. We must wonder if President Park can make such decisions herself, or if she first needs ask Washington & U.S. Pres. Obama for permission? South Korea & ally USA remain technically in a state of war with North Korea, and America bases nearly 30,000 troops (link) throughout the South. Korean right-wing President Park Geun-hye is the daughter of assassinated dictator General Park Chung-hee, close friend & former puppet of the USA. 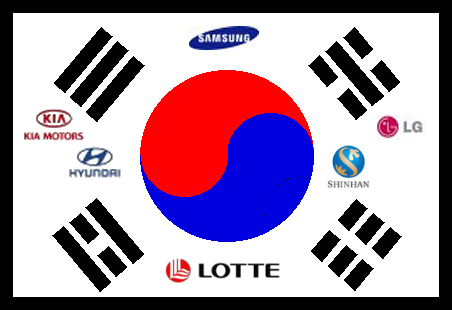 The Korean Government Employees’ Union has not been officially recognized, and private sector unions are often quashed by industry. But this latest union-busting decision is sure to raise anger internationally against Korea -- already seen as competing unfairly. The irony is that Korea is highly competitive in most substantive areas, but myopic and regressive with human rights, gender issues & internationalization. These latter areas have little influence on low priced Korean products flooding the world, but negative publicity for Korea hurts its competitive industries and consumer sales of products from Samsung, LG, Lotte, KIA, Hyundai, etc.